MarkLives serves up a trade-media success story in a time where media organsiations have been actively divesting from journalism. Faced with losing both retainers at what was at the time South Africa’s two foremost industry trade publications, founding editor Herman Manson drew up a one-page business plan that put people-centred journalism at the core of the new media platform’s content offering. decided to name it ‘Mark’. The name has obvious links to marketing, making your mark, brand marks, etc. It also puts a human name as the focus for our site’s brand identity, a reminder of the kind of journalism that we should be publishing. Also, as other publishers have divested from content, we’ve gone the other way. We actively invest in journalism and good old-fashioned journalistic systems and processes, including editing, subbing and fact-checking. 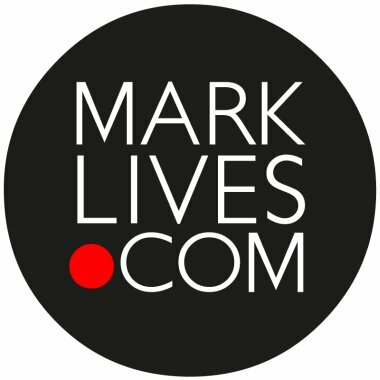 Today, MarkLives is arguably South Africa’s primary journalism-driven online platform for news, opinion, analysis, case studies and profiles on the South African and southern Africa’s advertising scene, offering a fresh, independent and investigative view of the region’s changing communication landscape and gaining influence through breaking industry news and in-depth features. This is where we tell the stories of the broader marketing and advertising industry, and marketing and agency folk read about the latest account wins, appointments and acquisitions. We actively cover the new wave of entrepreneurial agencies and creative talent, as well as what else is happening in the market. We’ve also established the highly rated annual Agency Leaders Most Admired poll, which sets to find out what South Africa’s top agency leaders think of their competitors, whom they see as effective managers and great creative leaders, and where they believe their future competition is likely to come from. The site has built an engaged monthly audience of more than 37 000 marketing and senior advertising execs (as well as media editors and publishers) and serves over a million pages of content a year. An active careers portal, Careers.marklives.com, and a new business acquisition tool for agencies, Ramify.biz, have since been bolted onto the main site. All in all, we’ve become a must-read resource for the industry. Connecting marketers to their peers Brand marketers, this is your opportunity to engage directly with industry stakeholders, fellow marketers and senior ad execs! Launched in 2017 as a partnership between Brands & Branding and MarkLives.com, Brands.MarkLives.com offers brand-marketing departments broader industry visibility and more-active participation in discussions through the online dissemination of brand case studies, marketing news and top-line thinking. MarkLives already offers a similar, highly successful newsroom service to ad agencies and suppliers through our Ramify.biz service, but want to extend to marketers the ability to engage with their industry stakeholder community. Brands.MarkLives will also be taking relevant content from Brands & Branding, plus insight and opinion from academic faculty and senior marketers, directly to marketing and communications students through a new email newsletter. This will expand their reading list to include more, relevant information and insight into South African brands and branding. For a fresh, independent and investigative view of Africa’s changing media, marketing and advertising landscape.